Why do we need to undo restore on iPhone? There are many reasons you might need to undo restore on your iPhone. For example, you might have been wanting to back-up your file and you accidentally clicked on restore back-up. 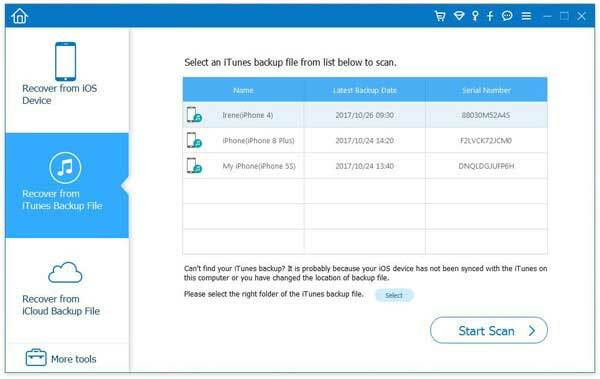 This will restore your previous backup versions which may result in the deletion of your current photos, files and any other things kept in your iPhone. You may also accidentally factory reset iPhone which will erase almost all data you have on your iPhone. In these cases, you need to undo restore so that you can get back the version or the data you actually want to have on your iPhone. The main problem you might face while undoing a restore is getting back the original version. To make sure this isn't an issue, make sure that you create an account with iCloud and backup your data or connect your iPhone to a computer and backup your data there. Doing it at regular intervals will ensure that you lose as less data as possible. Undoing restore is not a reversible process, rather it helps to put in the backup files to your machine. Thus, the solution for undoing restore is to have a backup kept in a safe place and to update your backup data at regular intervals, especially when you have important data in your iPhone. Related: What if My iPhone Won't Restore? Here are the top ways you can do it. You just need to choose the right method to help you get going. • First, connect your iPhone to your computer. • Now, open iTunes, select preferences and select your device under "General Preferences". 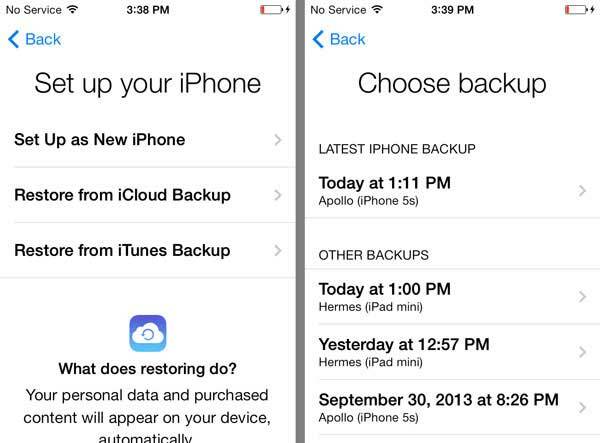 • Select the backup you want, and then click on "Restore Backup" under the "Manually Backup and Restore" option. This will undo your undesired restore. Now, another way to easily undo restore is the Coolmuster iOSRescuer software. It can undo erroneous restore and can recover deleted, formatted or corrupted data by taking backup data from iTunes or directly from your iPhone. Step 1. You just need to install and launch this software. Step 2. 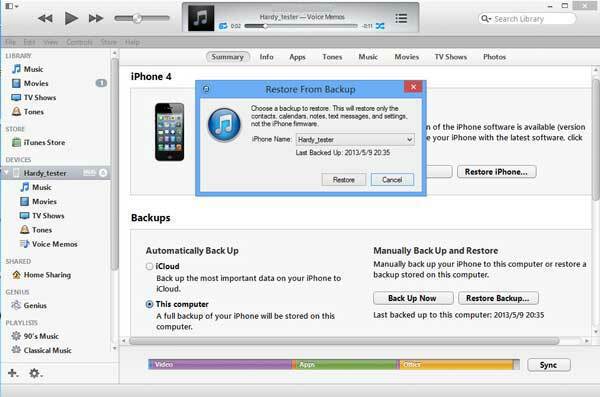 Then connect your iPhone to your computer and have it perform a quick scan of your device, or iTunes backup. It will categorize the files available (including lost ones), based on messages, chats, contacts, videos etc. Step 3. You can preview these files and select the ones you want to bring back. Thus, with Coolmuster iOSRescuer software, it is very easy to undo accidental restore on your iPhone.